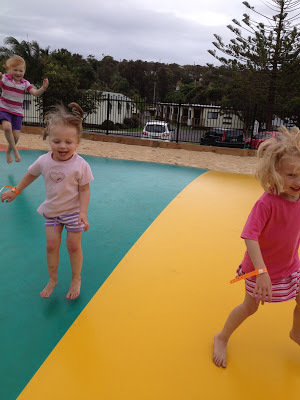 With a beach a 100m from our cabin door, a pool, a playground, rainforests and waterfalls to explore, the Muddy kids are of course always requesting the jumping pillow! Luckily at the moment the holiday park is quiet, so they have had a good run at it whenever their heart desires. 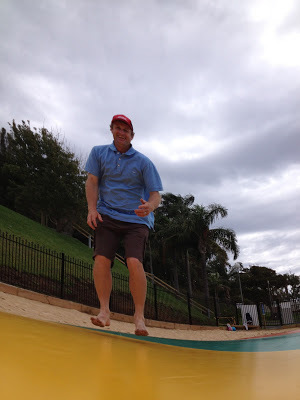 Each time they request the jumping pillow though my calves say ‘Thank You’ while my pelvic floors say ‘squeeze tight’, I really must remember to keep up with those exercises! 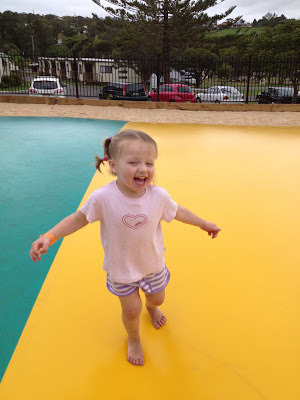 This entry was posted in Family, Kids Play, Photos on February 13, 2013 by nat. 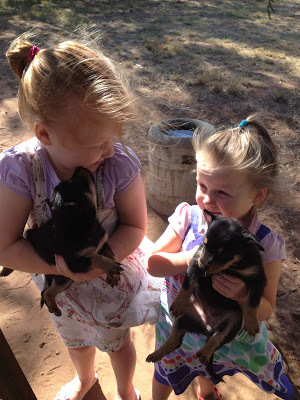 A few weeks before Christmas our working Kelpie had puppies. They are squirmy balls of delight that are keeping us entertained for hours each day. They are now drinking from a bowl and eating dog biscuits, as well as occasionally getting a feed from Mum. 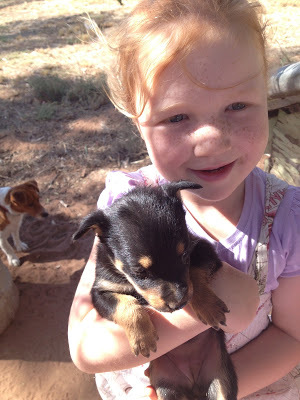 We will keep one and will try to find homes for the others. Then begins the process of trying to train one into being a super sheepdog! Muddy Hubby has the book on how to do it, he just has to put it into practice, slowly building the dog’s confidence and skill. A properly trained sheepdog will do an excellent job and save lots of yelling and running around the paddock after errant sheep. 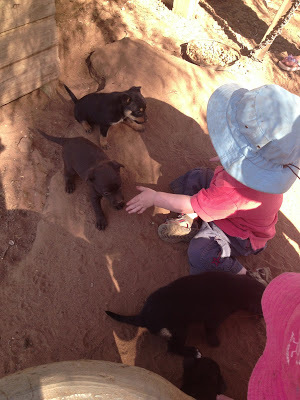 I’m not sure how the Muddy Kids will fill in their days once we find homes for the rest of the puppies and they’ll be a bit sad to say goodbye. 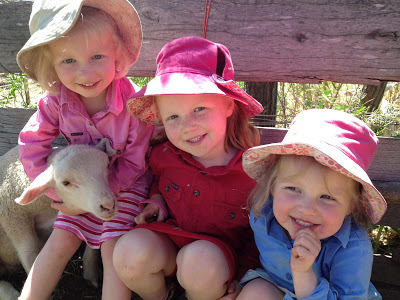 This entry was posted in Farm, Kids Play on January 10, 2013 by nat. 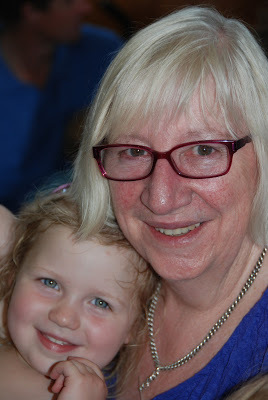 Start as you plan to continue……I’m going to give it a go anyway with my first Grateful post for 2013. 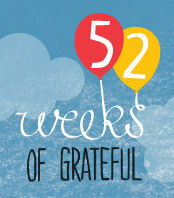 Things fell off the wagon for me linking in with Gratefuls, somehow, as often happens, life gets in the way. Sometimes something has to give and for me it was regular posts and regular grateful posts. 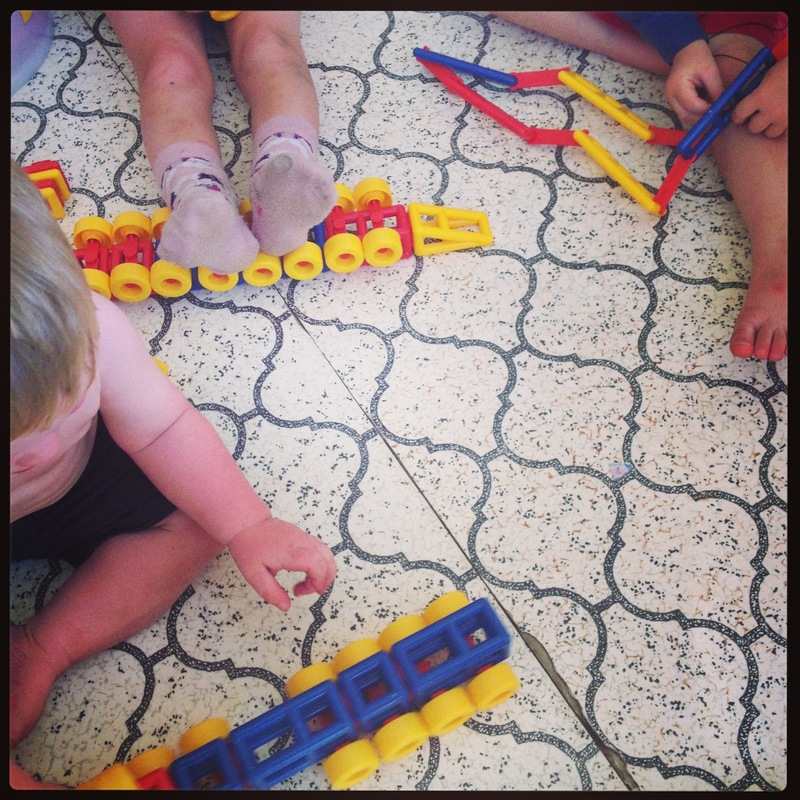 For a new year that is incredibly hot so far, I am very, very grateful for the kind and generous gifts my beautiful Muddy Kids received for Christmas, they have made the time we have to spend in airconditioning that much easier to bear. With the novelty factor of new gifts and the perfect choice of some gifts they are that much happier to be confined indoors for a few hours each day. 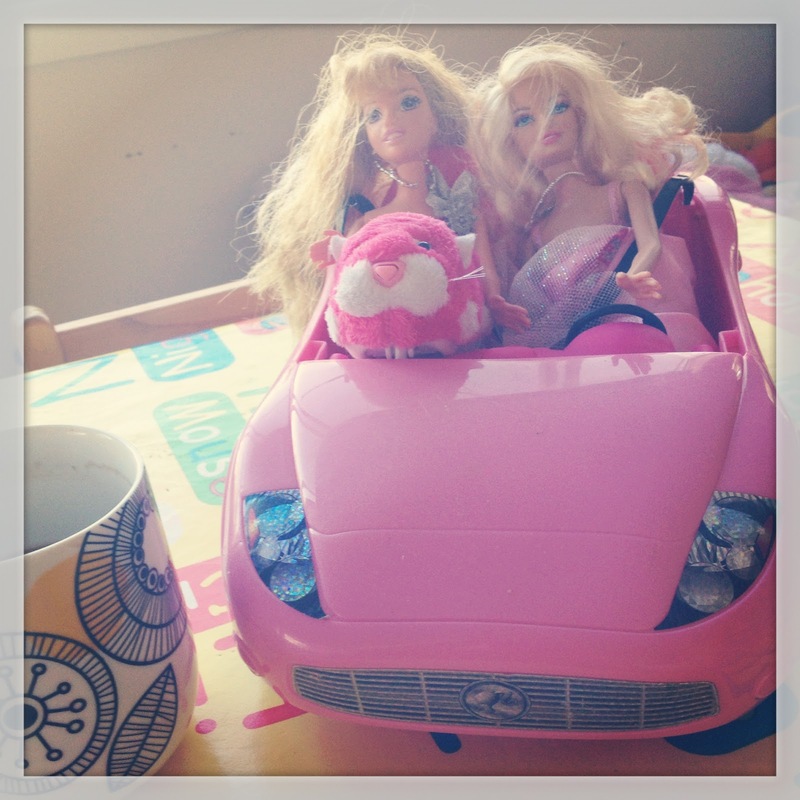 From Barbie and her million accessories, hairstyles and outfit changes to the Fluro Pink Zhu Zhu Pet we have been awash in imaginative play scenarios from weddings, to babies to coffee dates, they’ve done it all. One of my all time favourites – Mobilo!! This has literally kept the kids entertained for hours, as they build so many different things, and the best bit is the Muddy Girls build things for my Muddy Baby Boy to play with so everyone is happy! 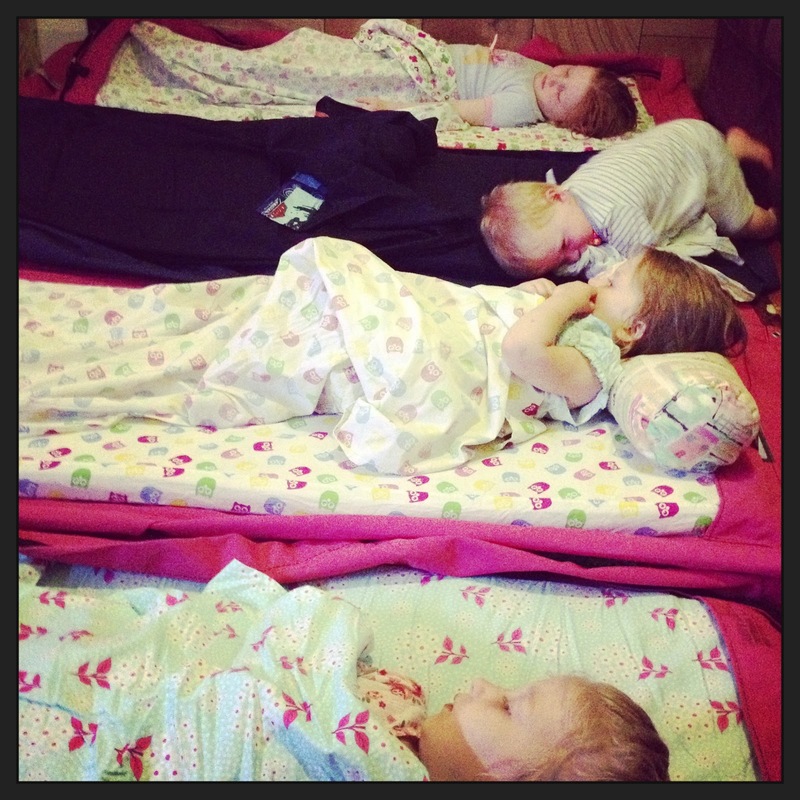 The biggest hit though, thanks to my wonderful sister and brother-in-laws and nieces and nephews are the swags, the Muddy Kids just think they are the bees knees and they make camping in the airconditoned lounge room at night so exciting and that little bit more comfortable. So this week for the start of the year I am so incredibly grateful for the generosity of family and friends keeping my Muddy Kids entertained, inspired and happy inside. 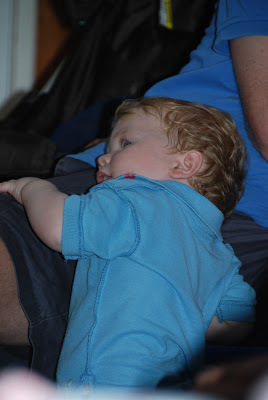 Linking up with Maxabella at Village Voices for 52 Weeks of Grateful! Come on over and check out some fabulous posts and link in if you can. 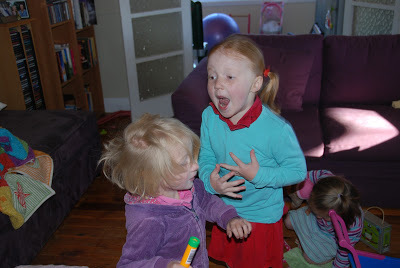 This entry was posted in 52 Weeks of Grateful, Kids Play, Photos on January 4, 2013 by nat. One of the things I love about my Muddy Organiser going to school is reliving my childhood, or parts of it anyway! There’s been stories they’re reading at school or that she brings home from the library, sports I’d forgotten about like tunnel ball. 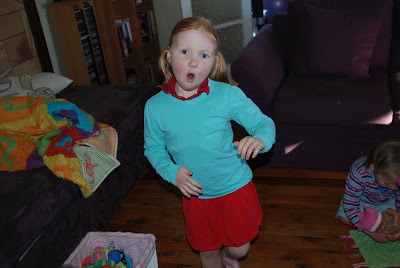 I love watching her learn new songs and dances for the school social and singing along with her. I was extra excited though last week when she bought home some string. 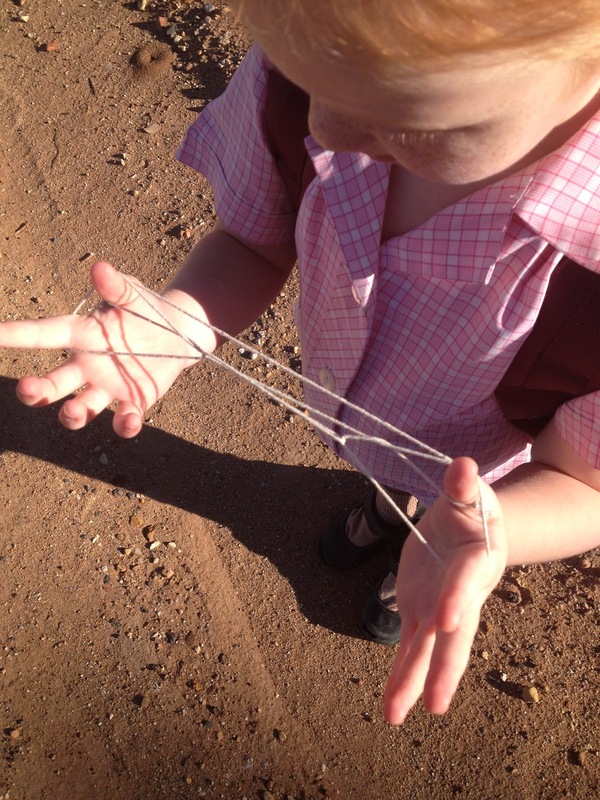 Not just any string, but a loop of string to do Cat’s Cradle with. I can remember spending hours and hours trying new tricks with the string, I was hopeless but it didn’t stop me trying! 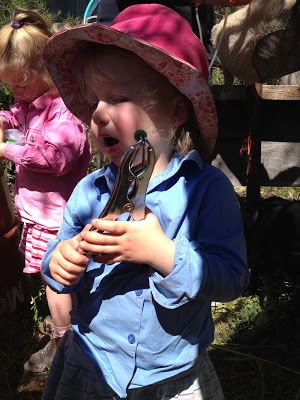 My Muddy Organiser though has proved to be quite a whizz with the string, she can already do the Harbour Bridge and is teaching her friends how to do it. My Mum (god bless the teacher in her) has dug through her bookshelf and found a book on Cat’s Cradle and other string things which the Muddy Organiser is learning from to add to her string repertoire. She has already well surpassed my string abilities. The thing I love most about the string is it’s portable, she takes it everywhere, it’s not electronic, it’s just good old fashioned fun at it’s best, just like my childhood. 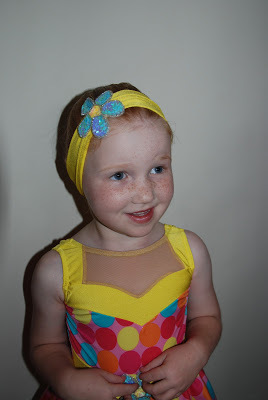 A teacher friend tells me elastics are the next thing coming back in! 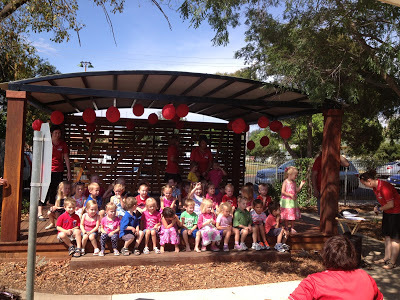 This entry was posted in Kids Play, Muddy Organiser on December 11, 2012 by nat. 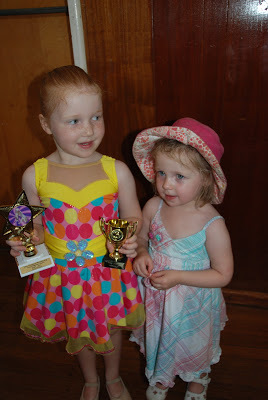 The last week has passed in a rush of pretty dresses, parties, preschool concerts and ballet concerts. 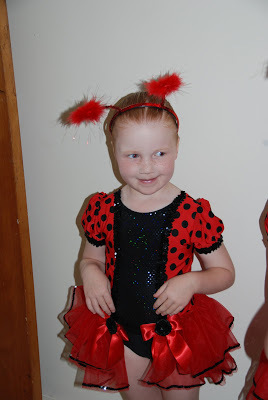 We’ve had rehearsals and our scary first foray into ballet concert make-up! 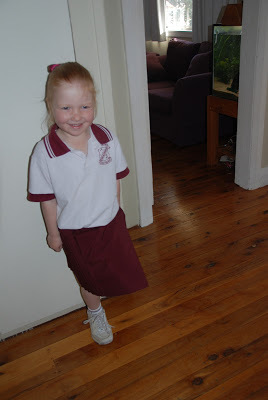 We’ve had costume changes and hair spray in abundance to keep the wispy bits of hair in a tight bun. 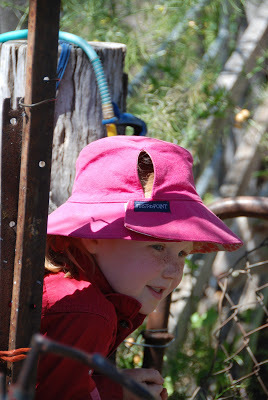 Through it all we have had lots of fun, lots of photos and lots of proud Muddy Mummy, tear-in-the-eye moments. 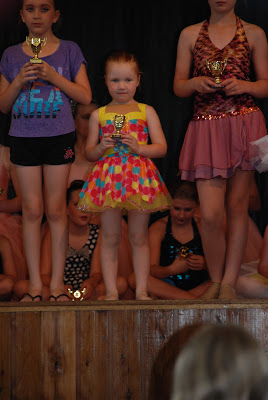 Each day I wake up and pinch myself in amazement that I have 4 beautiful Muddy Kids and feel like I’ve blinked and missed the last 6 years, as I now have a little ballerina, who proudly danced on stage, accepted her cup and her encouragement trophy, all without a clingy moment or worried cry! 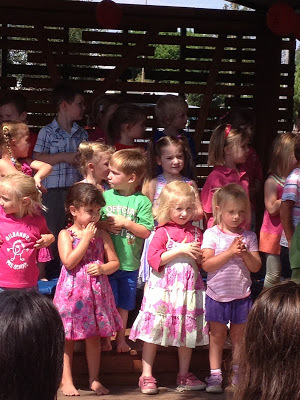 Both the preschool concert and the ballet concert were hot, hot, hot days, 40 plus degrees, and my lovely Mum (Nana) came and sat through them both, helping me to look after the Muddy Kids and take photos and videos to make sure we don’t miss a bit of it! I am now officially exhausted and we have a few weeks of school, birthday parties and Christmas parties still to come before the guy in the big red suit visits, somehow I’m not sure that the next few weeks will pass without a few tantrums from all of us! 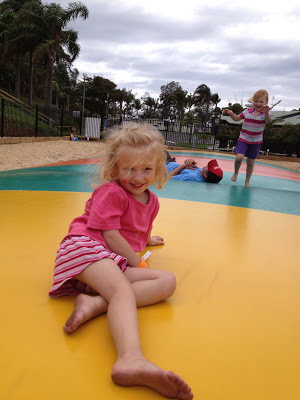 This entry was posted in Family, Kids Play, Muddy Organiser, Muddy Pixie, Photos on December 3, 2012 by nat. Today the three youngest Muddy Kids and I headed out to one of the Muddy Pixie’s Bestie’s Birthday Party. 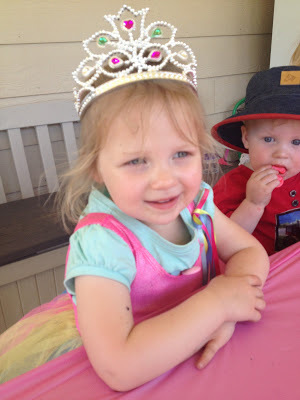 It was a Princess themed party, complete with tiaras for all the little princesses, a treasure hunt, mini jumping castle, wand decorating and of course a Dolly Vardan Princess Cake. 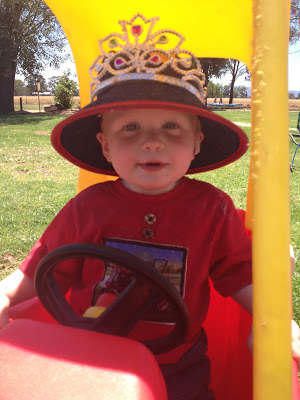 It was a delightful morning and making sure he didn’t miss out Muddy Bubby grabbed his own tiara and wore it in style as he cruised around in the toy car. 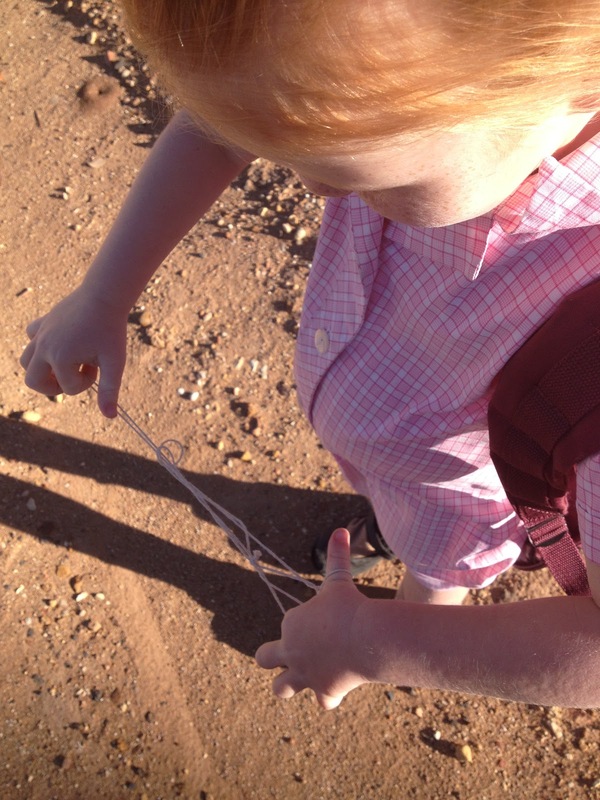 I delight in mornings like these, watching my Muddy Kids play with their friends or watching Muddy Bubby off exploring on his own, discovering whatever boys toys he can find, even the smallest finds excite and entertain him. I also get to spend some time with my friends, catching up and watching their little ones grow and change before my eyes. 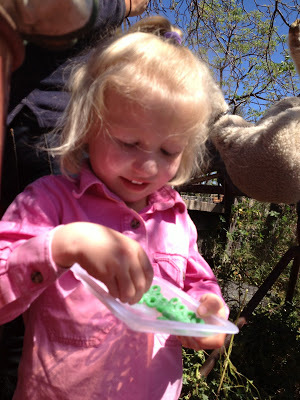 Happy Birthday to a Gorgeous Four Year Old Princess. 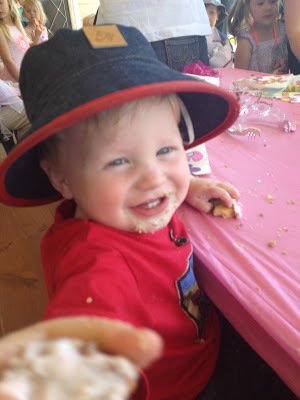 Thanks for sharing your birthday with us. 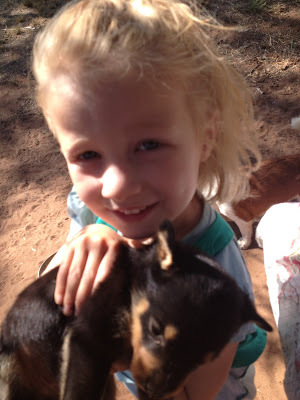 This entry was posted in Kids Play, Photos on November 13, 2012 by nat. 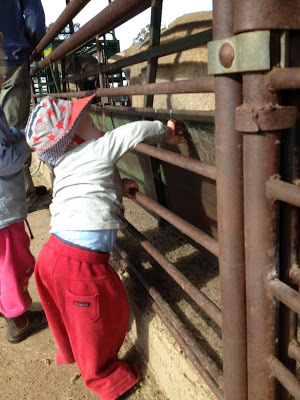 Once our Ewes have had baby Lambs it’s time to tail those Lambs, give them an ear mark, vaccinate them and backline them to help prevent flies. 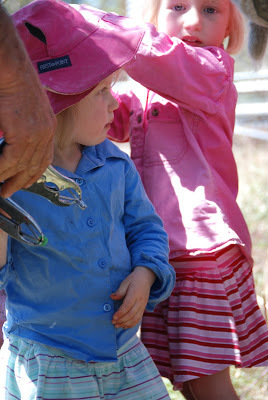 It’s generally a job for about 3-4 people (depending on the number of lambs in the mob), but with the Muddy Kids and I we had an extra large workforce to help get the job done. 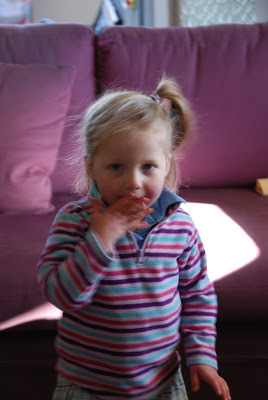 The Muddy Girl’s first job was to put the rings on ready for Pa to tail them. They were also pretty good at overseeing and telling me just which one they wanted to put in the lamb marking cradle next. 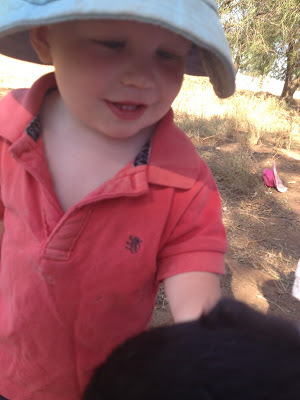 Then at the end they had time for some cuddles with the lambs. It’s this sort of thing that I love about farming, we can go to work with Muddy Hubby, spend some time together, help the Muddy Kids get to learn the Family Business and best of all we’re outside and using up the energy for a good night’s sleep! 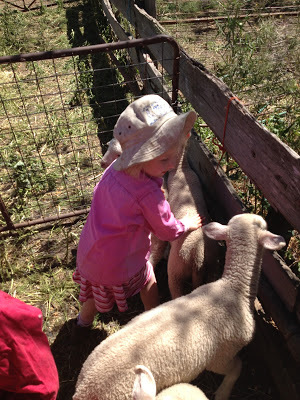 This entry was posted in Family, Farm, Kids Play, Photos on September 25, 2012 by nat. For the last few weeks when the house goes quiet my ears prick up (as any mum’s do really) and I listen hard, what I’ve been hearing though isn’t the sounds of mischief, it’s the sound of my Muddy Organiser organising her Muddy Sisters into line ready to march. Then starts the call ‘Left, Left, Left, Right, Left’ as she instructs them to keep their hands at their sides, fists clenched before setting off around the house. It’s that time of year for the interschools sports trophy and one major part of this is the big march all the schools do down the main street of the town it’s being held in. There is even a separate trophy awarded to the school with the best marching (not kidding). 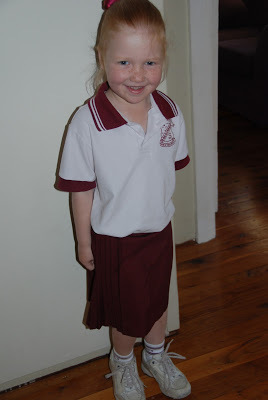 The teachers and principal at school have had them practicing for weeks (yes weeks), they have the drum going and you hear the call of ‘Left, Right, Left, Right’, ‘Lift those feet’, ‘Keep your arms straight’ as they march around the streets that border the school. It’s serious stuff this marching (who knew! Cynical me didn’t). My Muddy Organiser was so very proud this week to put on her poorly ironed sports uniform, white sneakers and school socks and head off to the march. 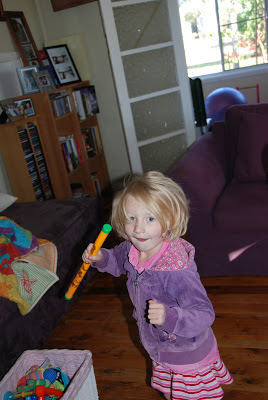 For her it was all about the march and not so much about the sports and games. 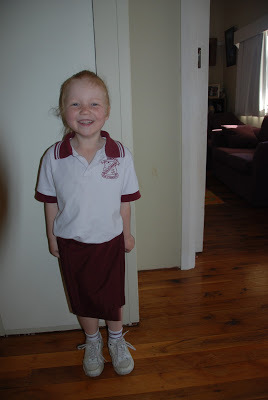 The best bit though was her enthusiasm, she arrived back with just as much as when she left, she tried her best, had a great day and is already practicing her marching for next year, as much as I’m informing her that she’ll run out of march by next year if she keeps it up, she just keeps going. I have no doubt that by the time the rest of the Muddy Kids start school they’ll have the marching down pat thanks to their big sister! And just so you know, they won the Marching Trophy! 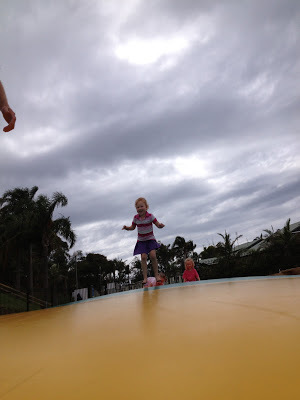 This entry was posted in Kids Play, Muddy Organiser on September 15, 2012 by nat. People talk about farming not being a job but being a ‘way of life’ and it really is. 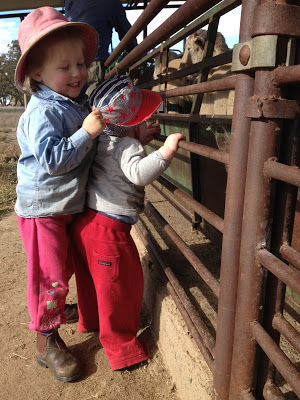 There is very little down time, weekends while we try to spend time together as a family, it is often spent doing farm jobs together. Don’t get me wrong we definitely do lots of other stuff too, and get out and about off the farm, but ‘there is always something’. 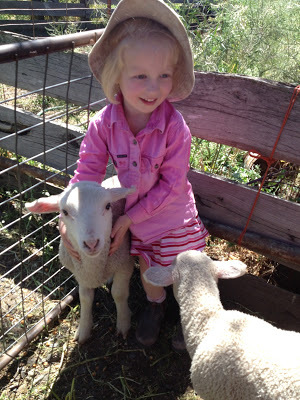 At the moment we are in the process of sending all our Wether Lambs to the Sale Yards for selling. 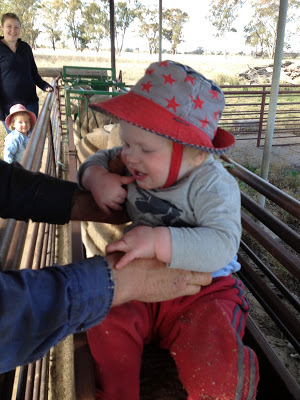 Before we send them we have to draft off the fattest lambs which will gain us the most money (in theory). 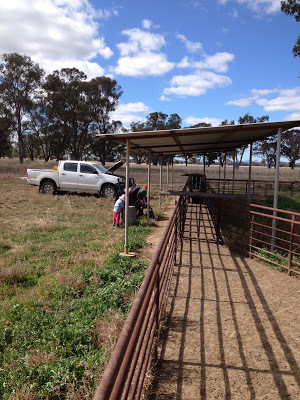 As the sales are on a Monday often on a Sunday afternoon you can find us in the sheep yards weighing lambs. We draft off an amount of them to weigh, then we run those ones through the race into the scales where they are individually weighed and the heavy ones are kept separate to send to market and the lighter ones are sent back to the paddock for further fattening. The Muddy Kids all love weighing lambs, they get their spot and either sit and watch or get up close in the action if they can. Muddy Bubby has just started to be allowed out of the pram for weighing and didn’t hesitate to get in amongst it all. Really it’s not a bad way to spend a Sunday afternoon together. 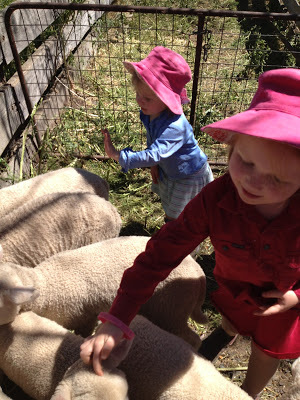 This entry was posted in Farm, Kids Play, Photos on September 9, 2012 by nat.